On Facebook, one can find and make number of friends by exploring profiles, sending friend requests. However, often we receive friend requests from people that do not interest us. So, how do you stop a person from becoming your friend on facebook? You can easily achieve this by blocking specific Facebook users and disabling its interaction with your Facebook profile. 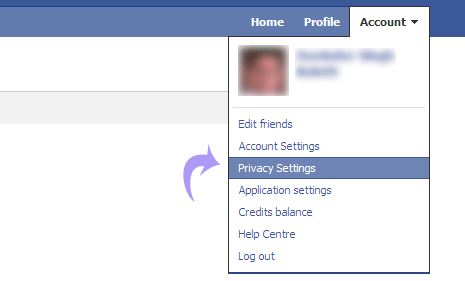 To quickly block specific person on Facebook, just visit that person’s Facebook profile page. Then click on block / report link at bottom left part of the profile page. To manually add people to block list without visiting their individual profile pages, you can use following method. 1. Open Facebook.com & login into your account. 3. Click ‘Block List’ option at the bottom. 4. Enter name of person, email ID that should be blocked. 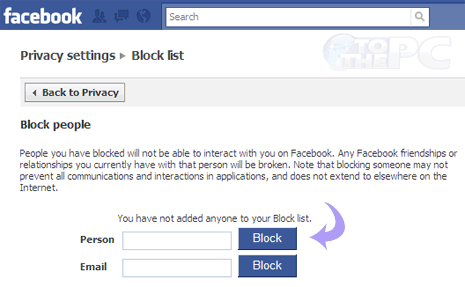 Blocked friends will not be able to interact with you on Facebook. Any current friendship that you may have on Facebook will be broken. Blocked users may still access through search and applications.